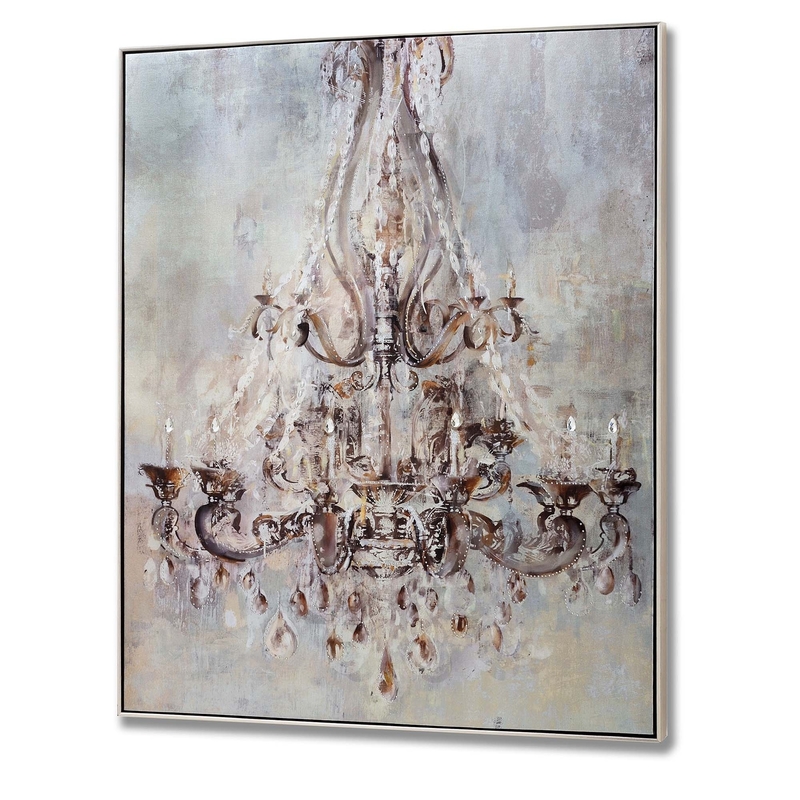 This wonderful canvas features a metallic chandelier art design. The chandelier also offers a real feel of depth due to the techniques that have been used to really emphasize that this is a 3D image as well as beautiful colour choices that allow you to truly feel that this chandelier is a metallic piece of lighting. Complimented with detailing to greater emphasise the metallic feel, this chandelier wall art is truly a spectacular piece.